SoftSheen-Carson Dark and Lovely Moisture Plus Olive Oil 250ml. captures all the benefits of olive oil in a nutritive and ultra-repairing creamy care. An extra-rich velvety cream full of olive oil's essential fatty acids, that nourishes and moisturises dry, brittle hair. 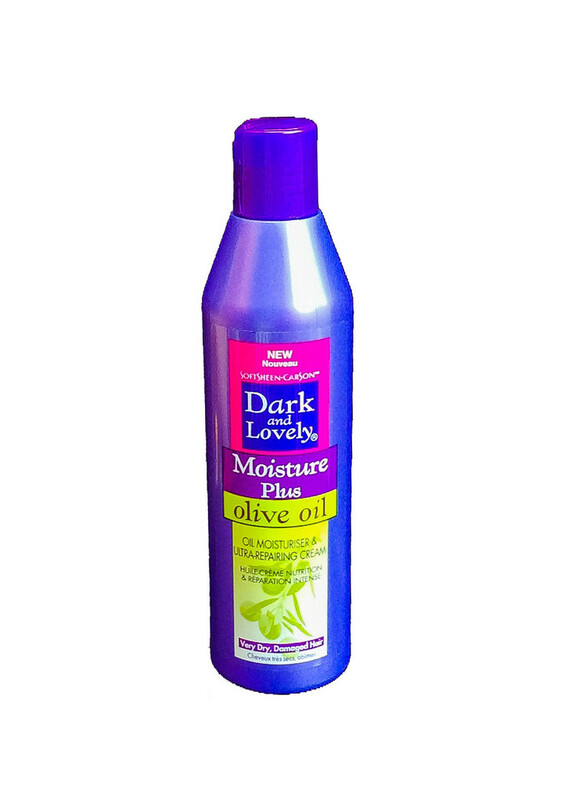 Perfect for Very Dry, Damaged Hair. melts instantly into hair strands for immediate efficiency. 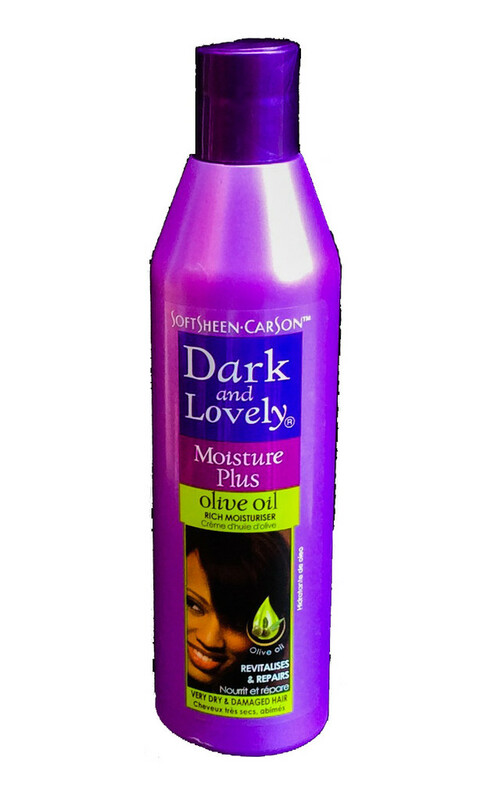 Gives hair a dazzling a healthy glow.